Adrian Jackson ‘22E isn’t shy in listing his goals. Those are big dreams for someone who didn’t start playing the viola until four years ago, but Jackson is used to overcoming challenges. No one in his family has ever attended college, and most people in his circle of family and friends have never left their native states. Jackson, who spent most of his youth in Texas, is driven to expand his boundaries. “I’ve always had dreams about traveling, continuing my education, and pursuing more for myself,” he says. 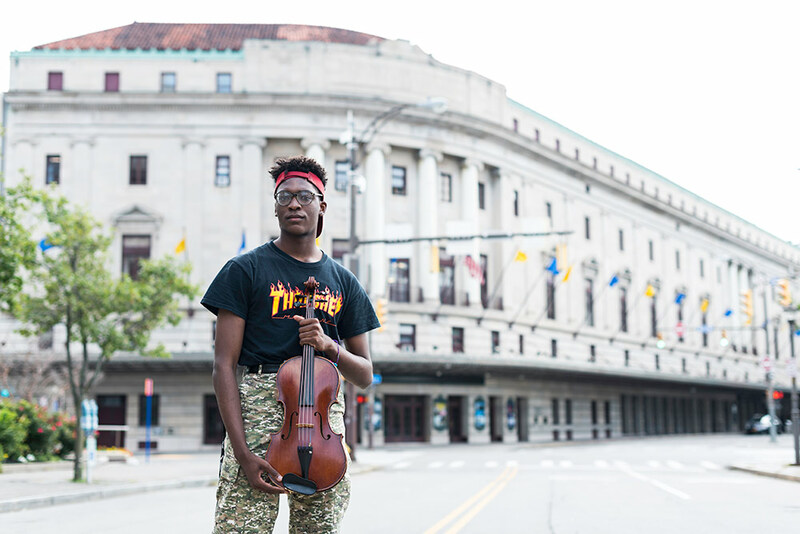 He chose to take up viola his first year of high school, mainly because he wanted to play an instrument (he had taken some violin lessons in sixth grade) and his school orchestra needed more violists. So, he didn’t. Jackson successfully auditioned for a spot in the academy’s senior class and received about 90 percent of a full scholarship. He raised the rest through a GoFundMe page, moved 1,400 miles from home, and never looked back. Jackson’s viola teacher at Interlochen was Renee Skerik ‘87E (BM). Skerik says Jackson is “a super motivated, high energy and very disciplined student,” with unlimited potential. “I foresee Adrian achieving his dream of being a professional violist in the top echelon of the music field,” she says. In the past, he sometimes stood in the way of his own dreams. He doesn’t doubt himself anymore.